An amazing butterfly is enclosed in a solid piece of crystal glass. What an unusual accessory item to make a statement in a room. 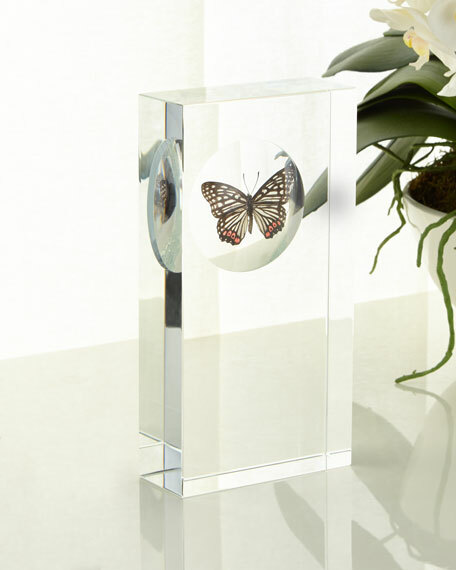 Handcrafted lead-free crystal glass piece holding butterfly specimen. 5"W x 2"D x 9.8"T.